September 29, 2001 Gloria Foster, stage and film actress, died. In 1995, Foster returned to the stage as 103-year old Sadie Delany in “Having Our Say,” for which she received rave reviews. 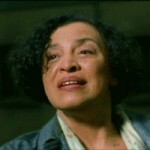 Foster made her film debut in “The Cool World” (1964), but is probably best known as The Oracle in “The Matrix” (1999) and “The Matrix Reloaded” (2003). Thanks for the comment. I feel the same way with music sometimes. When one artist samples or works with another artist, it may be the only reason I know if them but it opens my eyes as well.